Thank you to Wendy Shuttleworth for the following research. 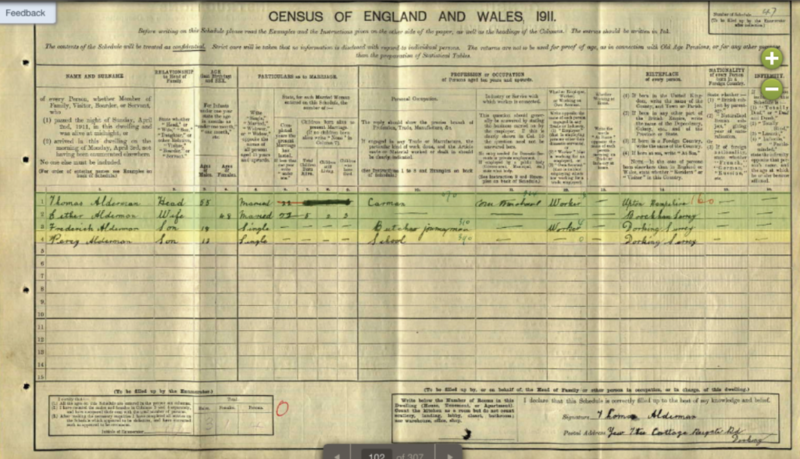 Percy Thomas Alderman was born in Dorking on 8th June 1897 to Thomas and Esther Alderman. He was baptised in St. Martin’s Church on 18th July 1897. In 1901 the family were living in Yew Tree Cottage, Reigate Road, Dorking. Percy had two brothers; John and Frederick. Thomas was working as a carman. In 1911, the family were still in Yew Tree Cottage and Thomas was still working as a carman. Percy worked as a gardener in Cobham. 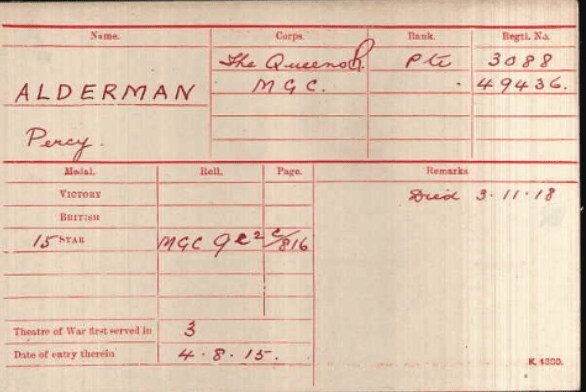 Percy enlisted in Dorking to the Royal West Surrey Regiment as a private with the number 3088 on 2nd September 1914. He transferred to the Machine Gun Corps (Infantry) as a private with the number 49436. Percy died of wounds on 3rd November 1918 in Mesopotamia aged 21. His parents address was given as 8 Moore’s Road, Dorking. He was buried Ramleh War Cemetery, Israel in plot EE4.